Tamales are definitely considered a classic Mexican Dish, handed down from generations of long ago and still an important part of the daily diet of many Mexican families. 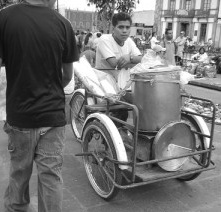 The name tamal comes from the word in Nahuatl “tamalli,” which means “wrapped.” It is not surprising to find a guy selling tamales from his big tricycle in every colonia (neighborhood), or to see sellers stationed outside offices, factories or at bus stops, where people are easily lured into getting one or two tamales. 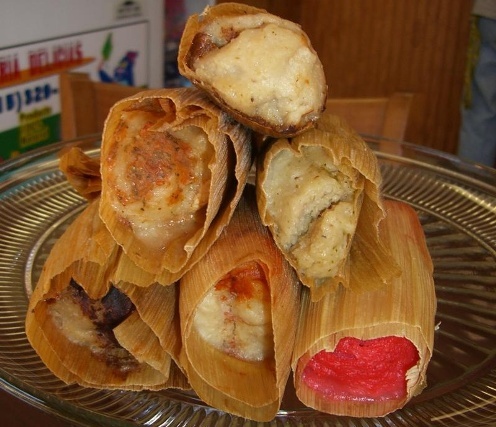 Others like to order a tamal inside a telera roll and accompany their “tamal torta” with an atole or champurrado. Preparing tamales is not an easy task and part of the success in making really good tamales is the quality of the fresh corn dough (masa). If the masa is not prepared well, the consistency of the tamales will not be right. The list of flavor options can be long, depending on the area were you get them, but generally you find Verde (pork in a green chile sauce), Rojo (red chile sauce with cheese), Mole (mole sauce), Rajas con Queso (chile Poblano with cheese), and some sweet flavors, like with raisins or pineapple, which are identyfied by the pink color of the masa. 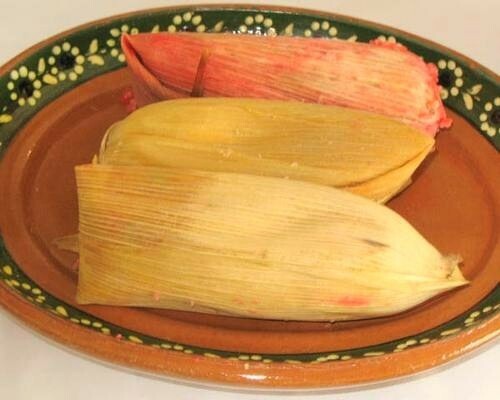 You can find also different versions of them, like for example Tamal Oaxaqueño, Tamal Yucateco, Tamal Hidalguense, Tamal Regio and Tamal Sonorense. I like Tamal Oaxaqueño so we’ll talk about it later. This entry is filed under Tamales. You can follow any responses to this entry through the RSS 2.0 feed. You can skip to the end and leave a response. Pinging is currently not allowed.